The Airtel new 4G SIM has arrived as Airtel are not slacking back. With the new Airtel 4gb SIM card, you cab access the internet with the fastest speed you can imagine. The new Airtel 4gb SIM has no strategy in giving you what you want as nothing is an obstacle in terms of slowing down the internet connection of the SIM. Guess What? With that 4G SIM card, you can get a 4GB data free that is valid for 30 days. All you have to do is to go out to any Airtel shop/outlet around you and ask for the new Airtel 4g SIM card which once you register the sim card you will be eligible for this offer. This Is How To Get The Free 4gb Data From Airtel. Put it on your smart phone that has a 4gb internet connection, make sure it's on the phone SIM 1 slot. Wait a few minutes, you will receive a text message telling you that you have received the Airtel 4gb data valid for 30days. If you don't receive a message, don't worry as you still have hope of getting the 4gb data. 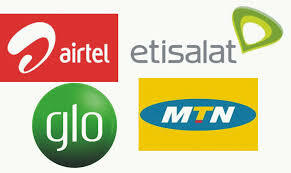 Just recharge your new Airtel SIM with an airtime worth N100.